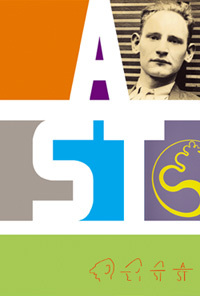 In honor of Anton Stankowski’s 100th birthday (1906–1998), a grand retrospective provides a comprehensive view of his art and graphic design. Stankowski’s oeuvre is impressive, thanks to its use of multiple media, ranging from photography and painting to graphic design, which contributed considerably to the visual image of the Federal Republic of Germany. Here, we will give you a brief idea of the various locations and fields in which Stankowski lived and worked. We will attempt to describe the plurality of his work, to point out common traits in his work and the way he visualized content. For Stankowski, there was no difference between the fine and applied arts. Both permeated his work. All of the works here are representative of many others. For further information and more visual material, please go to the press pages. The contents of this site are based on the exhibition concept and the catalogue, published by Hatje Cantz. Ten curators examine different aspects of the artist’s work. The exhibition, which will be seen at several locations, not only provides an assessment of Stankowski’s work, but also guides the viewer along the path to rediscovery. This is the first time that many of the works will be seen in public. Stankowski’s solutions for design problems remain valid to this day, and his undogmatic approach to the invention of form is still refreshingly surprising.